The eCommerce industry is becoming increasingly competitive thanks to data-driven decision making. For example, Amazon.com has become an expert at analyzing a customer’s browsing behavior to predict what they’re most likely to purchase and then putting those products in front of them at just the right price and location. The good news is that Google Analytics has helped level the playing field with its Enhanced Ecommerce solution. 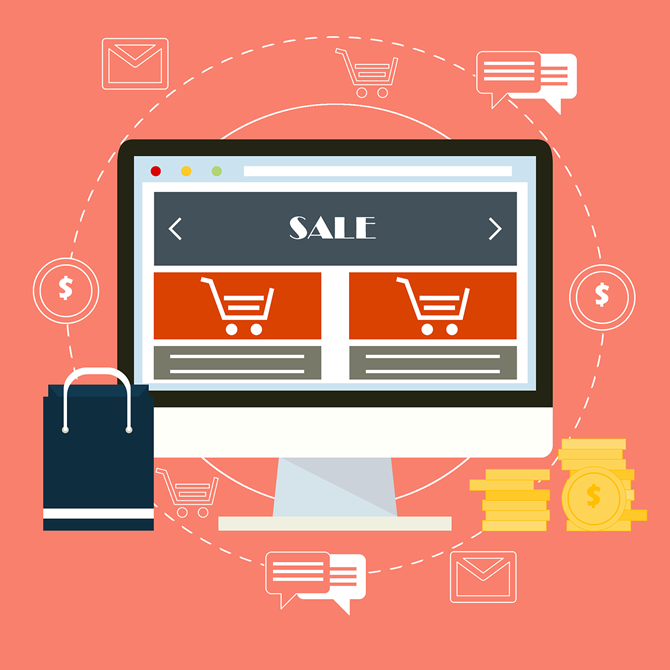 With the ability to collect and crunch product-level data across the purchase funnel, eCommerce stores can make data-driven decisions of their own to increase conversion rates and better compete against the Amazons of the world. In this article, we will take a look at two underappreciated Google Analytics Enhanced Ecommerce features and how they can help you improve your conversion rates. We will also look at how Avatria Convert simplifies this process by automatically harnessing this data and optimizing the way products are ordered across your eCommerce site. Product List Tracking is an optional report in Google Analytics’ Enhanced Ecommerce solution. It lets you analyze customer engagement metrics by the list products are a part of, which can be used to organize sort orders in ways that increase conversion rates. List Tagging – Define which product list each action within the eCommerce conversion funnel should be attributed to, which sets the stage for the rest of the data. Tag Product Impressions – Product impressions measure how often a product was viewed, which, when combined with list tagging, is used for the Product in List Views and Product List CTR metrics. List Clicks – Product Clicks can measure how many times a product was clicked, and when combined with list tagging and product impressions, gives greater insight into the products customers are actually interested in. For more information, see Google’s documentation. In the screenshot above, we can compare how each product in the Best Sell product list performed in comparison to one another. If we notice particular products performing more effectively than others within the list, it may be an indication of a way we can optimize that category’s performance. Categories – Categories are the most basic way that products are grouped. By tracking category lists, you can see how products perform in the section of the site where they get the most exposure. Search Results – Search results are lists of products created by a particular user’s search query. While there are infinite search query possibilities, popular search queries are worth optimizing to increase conversion rates. Related Products – Related products lists often appear on a product detail pages and consist of other products that customers tend to purchase together. By analyzing this data, you can identify the best cross-selling opportunities. If you have Google Analytics Enhanced Ecommerce set up and configured, Product List Tracking reports can be viewed in the Conversions section, under the Product List Performance report. Why should I enable product list tracking? Product List Tracking expands the conversion funnel to provide extra insights beyond what gets carted and purchased, which can be misleading when viewed in isolation. For example, suppose that a best-selling product happens to be listed at the top of its category. How much of its success is due simply to it position? Since few customers look past the first page of results in a category, a lower ranked product that has better conversion rates might actually have greater potential if it were moved up to a higher position. Organize lists of products based on which ones have the highest customer engagement levels. Determine which products are most profitable when factoring in up-selling or cross-selling opportunities. Optimize related product lists by determining which products are commonly purchased together and ensuring they are ordered in an optimal way on product detail pages. Optimize marketing campaigns to focus on products that have the highest overall profitability when factoring in cross-selling rather than just its own conversion rate. Determine the optimal number of products in a given list based on how deep customers tend to dive into the list. Sophisticated conversion rate optimization software, such as Avatria Convert, can also harness this data to automatically optimize product placement in categories, search results, and related products lists. We will take a closer look at this solution later in the article. 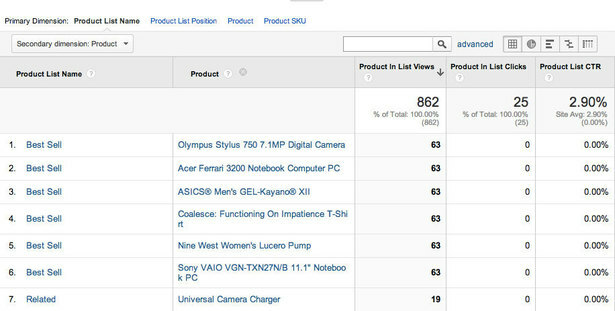 Product Detail View Tracking is another optional report in Google Analytics’ Enhanced Ecommerce solution. It lets you analyze how customers interact with product detail pages, which can help you identify and update underperforming product pages. If you have Google Analytics Enhanced Ecommerce set up and configured, you can set up product detail view tracking using the Google Enhanced Ecommerce’s guide. Why should I enable product detail view tracking? 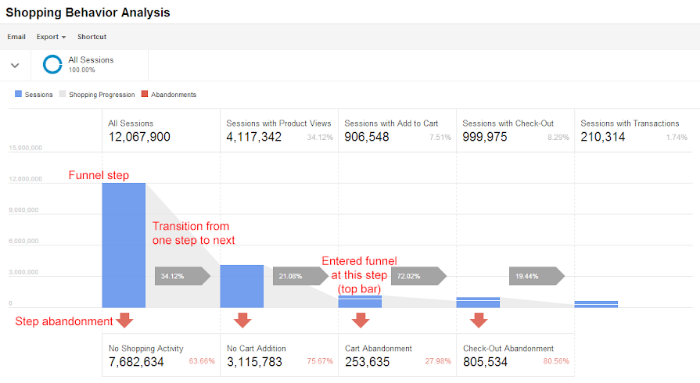 Product Detail View tracking expands the conversion funnel and provides extra insights about product detail pages that can help identify issues and improve conversion rates. Determine which product detail pages get a lot of views but few cart additions or purchase conversions. Determine which products have high conversion rates despite low engagement. Determine which products need to have their detail view pages optimized based on performance. Identify trends among which product detail pages performed poorly. Copywriting – Product titles, descriptions, specifications, and other copywriting plays a big role in conversion rates. Product Images – Multiple product images are important to ensure that customers know what to expect with a product. Product Reviews – Product reviews or other social proof is a great way to enhance conversion rates by reassuring customers that they’re making the right decision. Pricing & Shipping – The way that the price is displayed and shipping costs can play an important role in conversion rates. Guarantees – Price matching or money-back guarantees can improve conversion rates in some product categories. Avatria Convert helps eCommerce stores improve conversion rates by showing customers what they’re most likely to purchase. Using machine learning, we crunch the data from product list impressions, product detail views, and other Google Analytics Enhanced Ecommerce metrics to predict the optimal product order on category pages and other product lists. By setting up product list impressions, product detail views, and other metrics, you can provide the algorithm with more data points that can result in more accurate predictions of customer behavior. In other words: The more data available, the smarter the algorithm gets, and the higher conversion rates you’ll see. Avatria Convert involves an easy one-time setup with minimal implementation effort and enables you to merchandise an entire catalog or just one specific category. Our user-friendly solution connects to popular platforms such as Shopify and Magento in a matter of clicks, and is platform agnostic thanks to a developer-friendly API. The first step in setting up these reports, and optionally adding solutions like Avatria Convert, is signing up for Google Analytics and enabling its Enhanced Ecommerce functionality. For more information about the setup process, see Google’s Enhanced Ecommerce documentation. Unless you have development experience, it’s a good idea to work with a development team to implement these solutions. If you’re interested in trying Avatria Convert, you can sign up for free to see how it can help you improve conversion rates, while saving time, effort, and money. Download our free checklist to ensure that you’re tagging the right information to maximize your conversions.